A good zi char keeps everything going. Kopi and Tiger beer flow as Singaporeans sit back and loosen their belts after a day’s work. The auntie-in-charge hustles about, spare change clinking in her fanny pack. Sizzling ‘wok breath’ fills the air as white-clad chefs saute with an agility that rivals the pro footballers on the house TV. 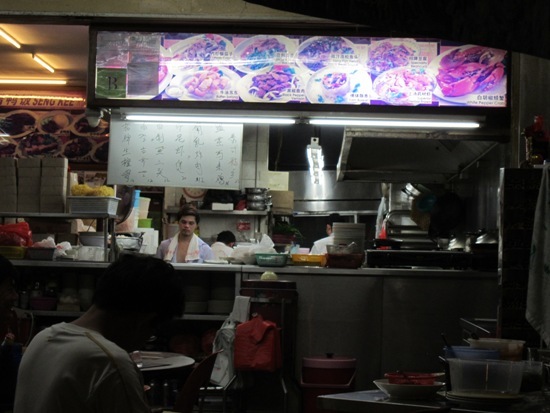 The drink stall may be the anchor of any kopitiam in the Singapore heartlands, but without a good zi char kitchen, the families don’t gather after dark, the beer slows to a trickle, and the place shuts by 20:00. While the zi char can be loosely translated as “cook fry”, it means so much more to the average Singaporean. 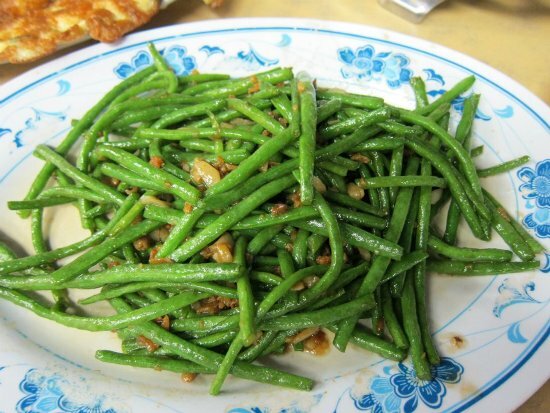 When done well, zi char dishes excite the tongue, fill the belly, warm the heart and go easy on the wallet. Successful zi char chefs must possess lightning speed, Miles Davis-esque improvisational skills and an almost supernatural memory. Like a weathered street guitarist who challenges any passer-by to request any song they can think of, a quality zi char stall can churn out a mesmerising array of dishes to order. If the zi char is good, the kopitiam is sure to be lively. 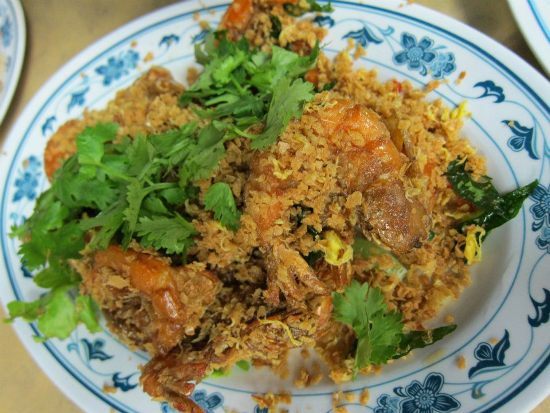 Many zi char joints also call themselves “seafood restaurants”, and favourites like chilli crab and deep-fried cereal-coated prawns are commonly on the menus. Yet the test of any zi char stall, apart from the flavours, is how much variation can be wrestled from limited ingredients. Deep fried cereal-coated prawns — you can see where the need for loosening the belt comes in. Noodles are prepared in a dizzying number of ways. Popular selections include Hokkien mee, flat yellow noodles sauteed in a dark brown sauce with bits of lard, and sin cheow bee hoon, stir-fried vermicelli noodles with green onion, bean sprout, egg and whatever else chefs have up their sleeves. An always filling favourite is hor fun, broad flat rice noodles in a thick and gooey sauce with meat, egg and vegetables. Soups are also available, though because it takes more time for the flavours to sufficiently mingle, the selection is more limited. When well composed, the delicately sweet flavours of egg drop soup can be a heavenly accompaniment to the heavier dishes. 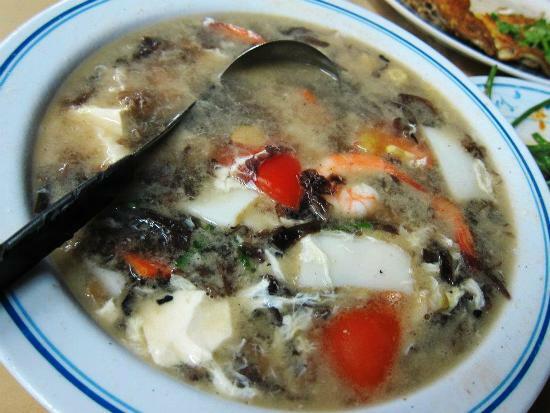 With seaweed, bean curd and boiled prawns, it’s also one of the healthier zi char options. Egg drop soup — so simple, so good. While the classics are key, a good zi char stall also must offer something different to set it apart — artistry is as important as efficiency. The latest craze in the ever-evolving zi char world is “Singapore heartland fusion“; think coffee pork ribs, cheese and butter crabs and squid or chicken coated with salted egg paste. The most interesting nibbles can often be scored by challenging a zi char chef to display the latest specialties. You might have no idea what you’re eating, but then, you also might be the only one in the world eating it. 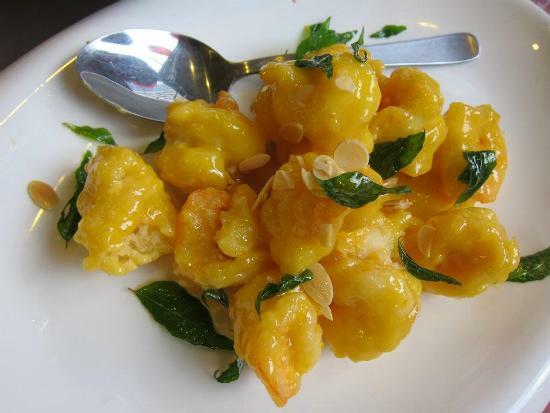 A new zi char favourite: fried prawns, squid or chicken coated with salted egg paste. Zi char meals are often rounded out by individual bowls of rice with toppings like beef with onion, sweet and sour pork and Sichuan diced chicken with dried chilli. Singaporean families typically combine a mix of sauteed veggies, soup, noodles, meat, seafood and rice. Prices match the no-frills atmospheres of most kopitiams and food courts, so several family-style portions can be ordered without breaking the bank. To cool down the often spicy and salty flavours, adults often go for a beer while the kids enjoy a teh peng. And where does one discover a taste of this fundamental aspect of Singapore food culture? Zi char kitchens are found all over the city-state, but they’re especially prominent in west Singapore — just let the pungent scents and sounds of metal clanging against metal guide you to them. If you’d like a little more direction, Lady Iron Chef’s list appears to be a good one.